Making your own Roller Bottles is one of the most convenient ways to use your essential oils! I wanted to take some time and show you how simple it is to make your own roller bottle blends as well as share with you some of my favorite roller bottle blends. Then you are going to need roller bottles, I usually purchase mine from Amazon. Simply search essential oil roller bottles and you can find all different sizes and colors. Roller bottles with a metal ball roll a bit easier than the ones with plastic balls but both work great. If you prefer not to reach and just want me to tell you which ones to grab try these ones. When we make roller bottles it is important to keep in mind who we are making them for. In the picture above you will find that there are essential oil amount recommendations. This will help you figure out how many drops of essential before adding your fractionated coconut oil. So how do you actually make a roller bottle blend? First, you add in the essential oils of your choice, then you fill the roller bottle with Fractionated Coconut Oil. Next, you pop the roller top on and close the lid. Now when you want to use this blend simply open it up and roll on. More of a visual person? My dear friend Kristine made this short video on how to make a roller bottle. Check it out HERE! Immunity bomb is your go too when you start to feel under the weather. Apply to your feet every couple hours. This roller is made with equal parts Lemon, Melaleuca, Oregano, Frankincense, and OnGuard. Simply look at the chart above and figure out how many drops total for the age and divide that by 5. 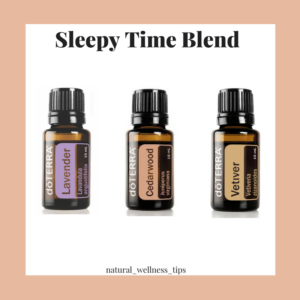 This is one of my favorite essential oil combos! For an adult, I would do 15 drops each Serenity and Balance and just decrease the number of drops as necessary for a child. Apply to the back of the neck, inside of wrists or inside of elbows as needed. A runny nose? Congestion? 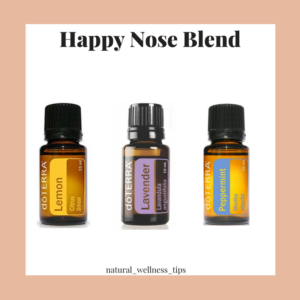 Try this combo on the bottom of your feet or over your sinuses! For an adult, I would do 10 drops each Lemon, Lavender, and Peppermint and decrease as necessary if you are making it for a child. Sleep is a must and so many people have trouble sleeping well. This is an amazing combo to help with sleep. I like to do 15 drops, Lavender, 5 drops Cedarwood and 5 drops Vetiver. I like to apply this to the bottom of my big toe and over my heart before bedtime. Feeling sluggish during the day? Grab your energy and focus blend. I take the roller bottle and roll into my hand, cup my hands over my nose and breathe in, then I apply to the back of my neck. I love that it gives me a natural and focused energy.